Over the past few days, the Verizon IndyCar Series has been out testing for the upcoming season at Phoenix International Raceway. 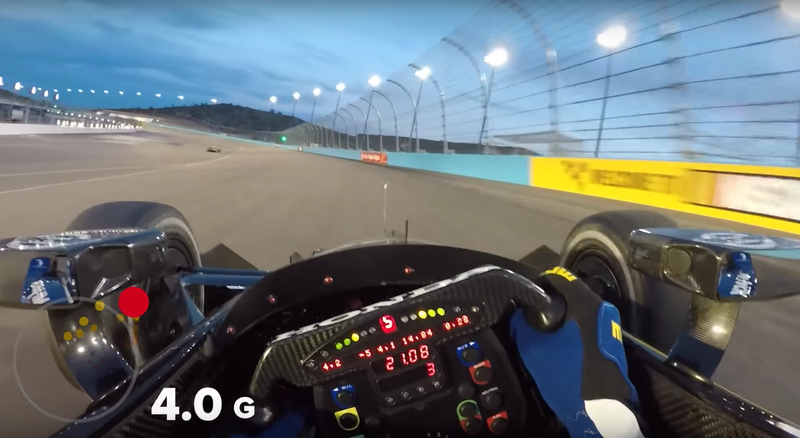 The G-forces on the cars are insane enough to put a hurting on a GoPro in under three minutes on track, and this video lets you see just how intense it is to lap an oval in an Indy car. For context, Phoenix International Raceway is a low-banked, one-mile oval in Avondale, Arizona. It’s on the shorter and flatter side as far as American oval tracks are concerned, with 11 degrees of banking in the first and second turns, nine degrees of banking on the backstretch as well as in the third and fourth turns, and three degrees of banking on the front stretch. Both IndyCar’s YouTube channel and social accounts have tons of coverage from the weekend, including live broadcasts and archives from full test sessions. Go forth and watch racing, friends.